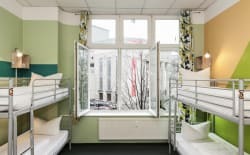 St Christopher's is right in the heart of Berlin providing free bed linen and free Wi-Fi - making this hostel the ideal base for you to explore the culture, history and nightlife of this amazing city. 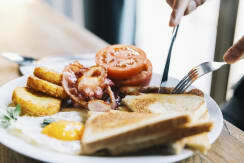 There is a continental breakfast available every morning. 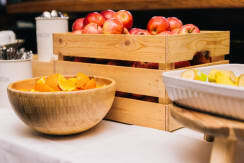 All guests receive a 25% discount on food at the onsite restaurants plus great discount deals on drinks! 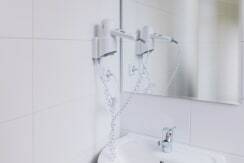 We offer a variety of rooms for you to choose from, including singles, doubles and multi-bed dorms, as well as a number of apartments for those in search of a little more luxury. In the private apartments you'll find great-value accommodation for you and your friends when you want a little extra privacy. 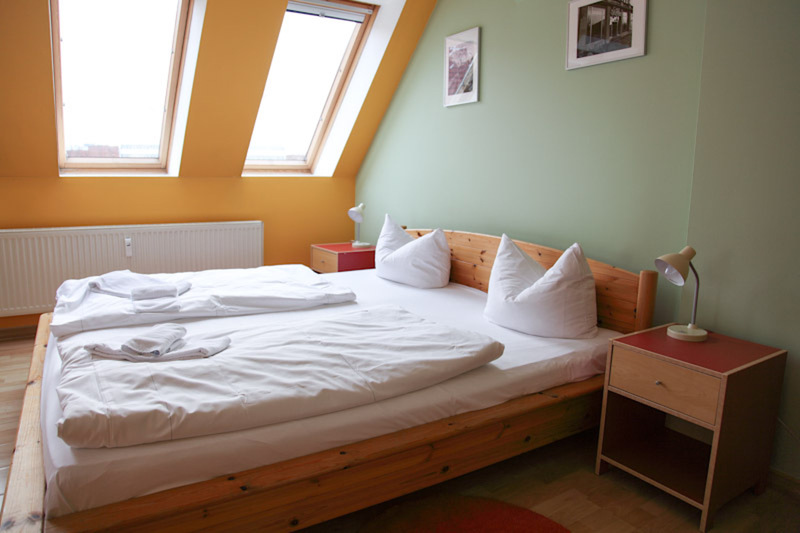 If you want to book online just look up St Christopher's in the Apartments section for Berlin. 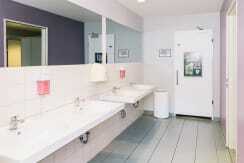 We've put together a comfortable and modern space for travellers to relax and unwind in. 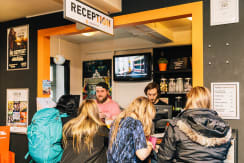 On the ground level of the hostel you'll find Belushi's vibrant bar, serving great food from midday until 11pm. 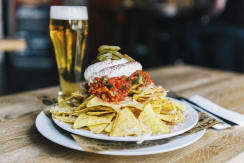 It also has loads of drink specials and discounts for guests as well as plasma TV screens for all the big sports tournaments. 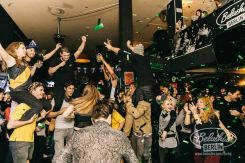 You'll find our hostel in the historic Mitte district, five metres from Rosa-Luxemburg-Platz U-bahn station and just a short walk from some of the hippest spots in the city, fashionable shopping, trendy bars, clubs and restaurants. Please note that guests under the age of 18 must stay in a private room with their guardians. 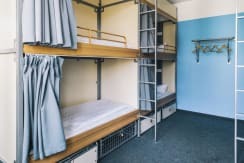 Guests under 18 years of age are not permitted to share dormitory rooms with people who are not a part of their own group or family. 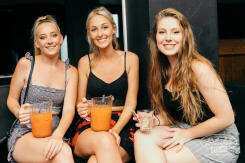 Under-18s are now allowed in the bar after 8:30pm. Please read our Things to Note below before making a booking. Photo identification is required for check-in. The accepted forms are a valid passport, national ID card or drivers licence. Check-out: 11am, unless by prior arrangement with management. Smoking is illegal throughout the hostel and bar. The property is 100% non-smoking. No alcohol is to be consumed in the hostel rooms. 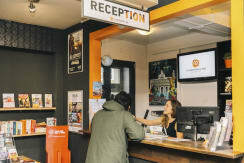 We only accept bookings for groups of up to 10 people via Hostelworld. We reserve the right to cancel group bookings which are not made in this way. 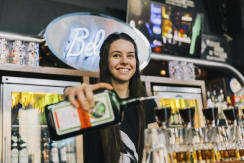 All groups of six or more may be subject to a credit card security deposit of â¬100, which will be refunded upon departure, subject to a room check, behaviour and adherence to house rules. Please note that there is a new tourism tax that will be in effect as of 1/1/14. This 'city tax' is 5% of your total stay and will be added to your balance. The tax will only be added to bookings made on or after 1/1/14 and will not affect those made beforehand. Sorry for any inconvenience caused, but this was not the hostels decision. Preise beziehen sich pro Person pro Nacht. Bitte wähle das Ankunftsdatum aus. Bitte wähle das Abfahrtsdatum aus. Diese Unterkunft hat eine 3 Tage Stornierungsfrist. Ergeht innerhalb dieser Zeit keine Stornierung, wird eine Stornogebühr in Höhe der ersten Nacht des Aufenthalts in Rechnung gestellt. Catch a Regional Express (25 min)or S9 Train (45 min) to Alexanderplatz. 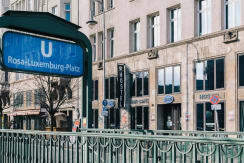 It's a short walk or one stop on the U2 underground train to Rosa-Luxemburg-Platz to us. Catch the TXL Airport Bus to Alexanderplatz, and walk the remaining short distance. Catch the 142 bus from 'Europaplatz' in front of the north entrance of the station (look for the Bus signs). Rosa-Luxemburg-Platz is seven stops down and the trip takes 15 minutes. You can get a ticket from the driver. Walk down Rosa-Luxemburg-Strasse; you'll find us on the right-hand side.